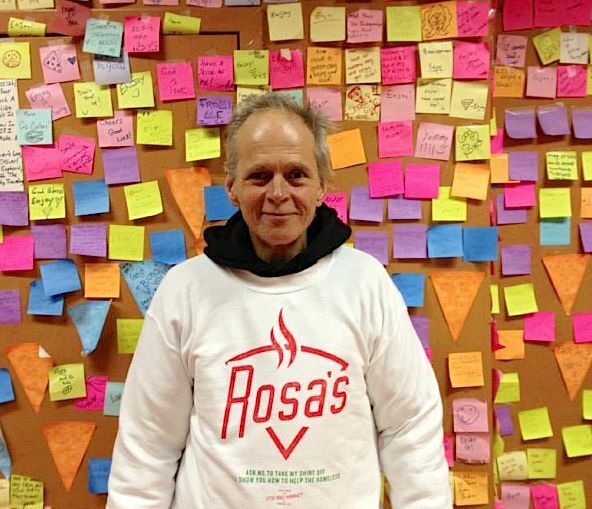 Dollar-a-Slice Pizza Shop in Philly Becomes Pay-it-Forward Mecca | Be Kind. We're all in this together. The apparel, which includes sweatshirts, all have a large tag sewn on the underside that details homeless resources in the city, such as shelter hours and locations, and info about a free computer lab. This entry was posted in Uncategorized and tagged Pay It Forward, Philadelphia homeless, Rosa's Pizza Philadelphia. Bookmark the permalink. Reblogged this on Collection of Interests Blog.